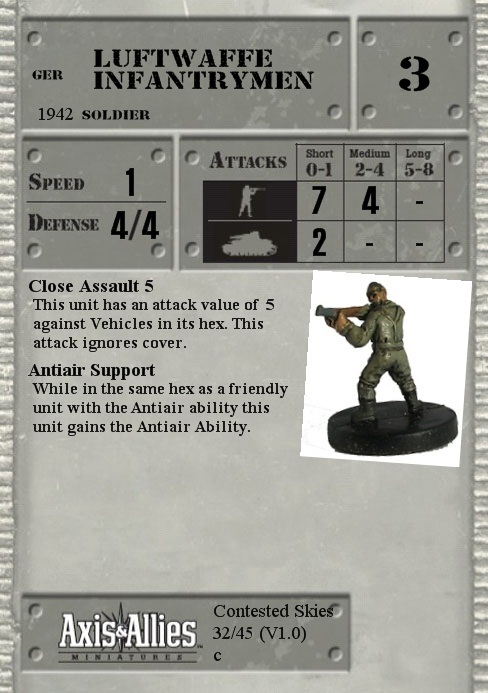 This unit has an attack value of 5 against Vehicles in its hex. This attack ignores cover. While in the same hex as a friendly unit with the Antiair ability this unit gains the Antiair Ability.